NICOSIA, CYPRUS. 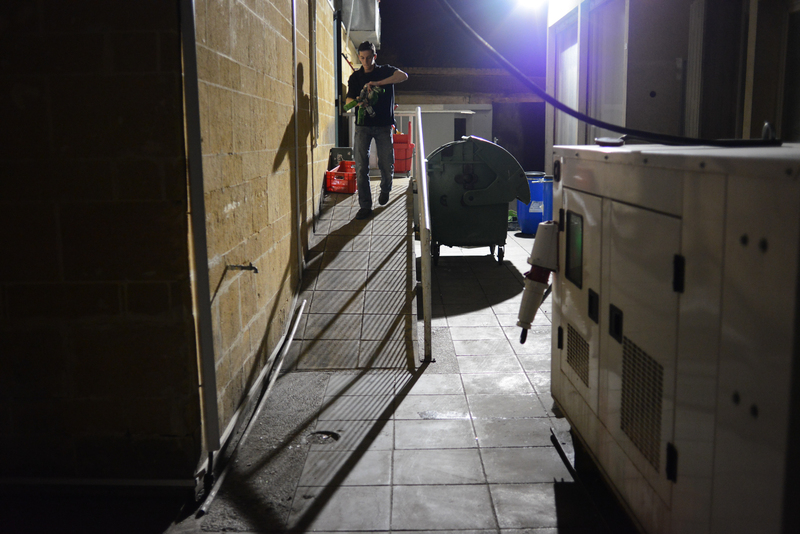 A man carries bottles out from the bar of a nightclub as a generator is seen powering the club on March 24, 2013. As the IMF, the EU and Cyprus hammer out a deal in Brussels to save the Cypriot banking sector, known for its abundance of offshore accounts, many in Cyprus have withdrawn as much as they can from their accounts at ATMs and are fearful for what the coming week might hold; the energy sector has been suffering for two years as well due to a blast at a power plant two years ago.